We hear a lot about the importance of eating food that’s organically grown and free of pesticides and other harmful toxins. That’s often where the conversation stops. However, should we also give consideration to the cookware we use to prepare the food we eat? Of course nobody wants to eat food with a high aluminum content, but what about preparing food in aluminum cookware? Does that present safety concerns? What about stainless steel cookware? Much research indicates that we need to be as deliberate in the cookware we use as we are in the foods we consume. 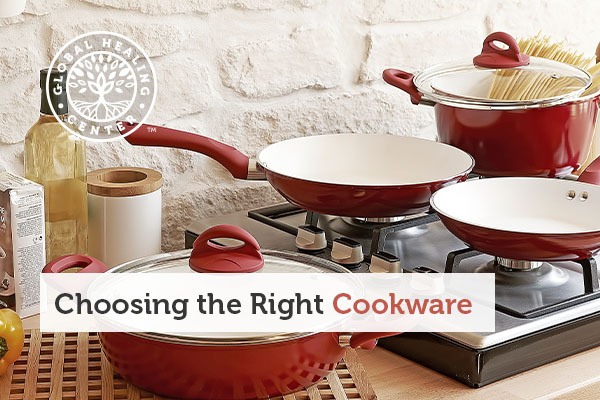 Perhaps one of the most common types of cookware is that which is non-stick. If you’ve ever used sub-par cookware, you probably know how easy it is for some cooking surfaces to cause burnt food to lock on with cement-like attachment. This is a pain to clean up and it ruins the food. Non-stick cookware is designed to prevent this problem, but it also introduces new safety concerns. A slightly outside-the-box option to consider would be to eat more raw foods. Raw foods contain more live enzymes and nutrients than their cooked counterparts. Depending on your dietary choices, however, raw is not always an option. Safe alternatives to questionable cookware do exist but it’s necessary to seek them out on purpose and be an educated consumer. A company that I am completely unaffiliated with, Ozeri, produces a quality line of ceramic non-stick pans that are free of PFC’s and will not release toxic metals. Have you found an alternative you prefer? Please leave a comment and share it with us! Wang J. 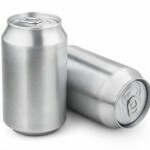 Current researches on biological effect of aluminum. Wei Sheng Yan Jiu. 2002 Aug;31(4):320-2. Review. Chinese. Gramiccioni L, Ingrao G, Milana MR, Santaroni P, Tomassi G. Aluminium levels in Italian diets and in selected foods from aluminium utensils. Food Addit Contam. 1996 Oct;13(7):767-74. Franková A, Drábek O, Havlík J, Száková J, Vanek A. The effect of beverage preparation method on aluminium content in coffee infusions. J Inorg Biochem. 2009 Nov;103(11):1480-5. doi: 10.1016/j.jinorgbio.2009.06.012. Epub 2009 Aug 20. Ai-Ashmawy MA. 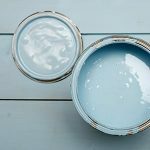 Prevalence and public health significance of aluminum residues in milk and some dairy products. J Food Sci. 2011 Apr;76(3):T73-6. doi: 10.1111/j.1750-3841.2011.02064.x. Epub 2011 Mar 16. Karbouj R, Desloges I, Nortier P. A simple pre-treatment of aluminium cookware to minimize aluminium transfer to food. Food Chem Toxicol. 2009 Mar;47(3):571-7. doi: 10.1016/j.fct.2008.12.028. Epub 2008 Dec 27. Kuligowski J, Halperin KM. Stainless steel cookware as a significant source of nickel, chromium, and iron. Arch Environ Contam Toxicol. 1992 Aug;23(2):211-5. Park J, Brittin HC. Increased iron content of food due to stainless steel cookware. J Am Diet Assoc. 1997 Jun;97(6):659-61. Accominotti M, Bost M, Haudrechy P, Mantout B, Cunat PJ, Comet F, Mouterde C, Plantard F, Chambon P, Vallon JJ. Contribution to chromium and nickel enrichment during cooking of foods in stainless steel utensils. Contact Dermatitis. 1998 Jun;38(6):305-10. Begley TH, White K, Honigfort P, Twaroski ML, Neches R, Walker RA. Perfluorochemicals: potential sources of and migration from food packaging. Food Addit Contam. 2005 Oct;22(10):1023-31. Sinclair E, Kim SK, Akinleye HB, Kannan K. Quantitation of gas-phase perfluoroalkyl surfactants and fluorotelomer alcohols released from nonstick cookware and microwave popcorn bags. Environ Sci Technol. 2007 Feb 15;41(4):1180-5. Genuis SJ, Birkholz D, Ralitsch M, Thibault N. Human detoxification of perfluorinated compounds. Public Health. 2010 Jul;124(7):367-75. doi: 10.1016/j.puhe.2010.03.002. Epub 2010 Jun 19. Kontou N, Psaltopoulou T, Soupos N, Polychronopoulos E, Linos A, Xinopoulos D, Panagiotakos DB. The role of number of meals, coffee intake, salt and type of cookware on colorectal cancer development in the context of the Mediterranean diet. Public Health Nutr. 2013 May;16(5):928-35. doi: 10.1017/S1368980012003369. Epub 2012 Aug 8. Villalobos M, Merino-Sánchez C, Hall C, Grieshop J, Gutiérrez-Ruiz ME, Handley MA. Lead (II) detection and contamination routes in environmental sources, cookware and home-prepared foods from Zimatlán, Oaxaca, Mexico. Sci Total Environ. 2009 Apr 1;407(8):2836-44. doi: 10.1016/j.scitotenv.2008.12.059. Epub 2009 Jan 29.